This app is wicked! 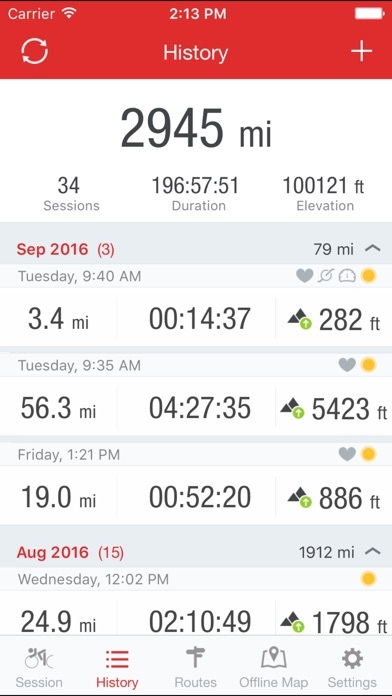 I’ve been a long distance runner for years until I shattered my leg; subsequently ending my favorite mode to a healthier life. After gaining over 50 pounds I couldn’t take it anymore. Bought myself a road bike - life is changing! I never knew how fast I was truly going and now I can’t help but try and beat my top speeds. A big shout out to Runtastic for this brilliant app that has restored my competitive edge by allowing me to track my progress and short falls. 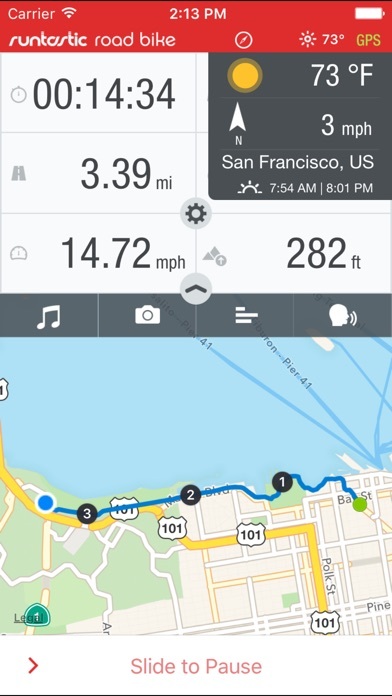 Love this app, use it when road biking. 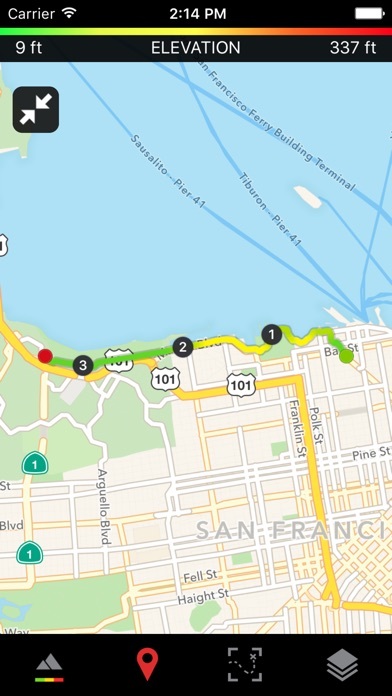 Map is great, love that it keeps track of cadence and avg./max speeds! The only thing I don’t like is that it doesn’t sync with my apple workout app, or at least I can’t figure it out. 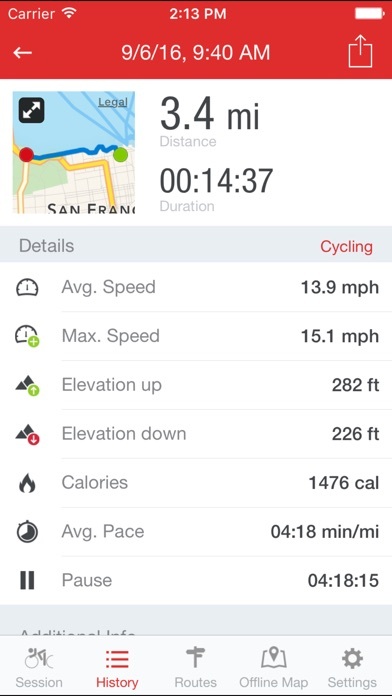 I track all workouts and count cycling as a workout, so it would be nice if I could upload that data to workout app. Otherwise awesome!!! 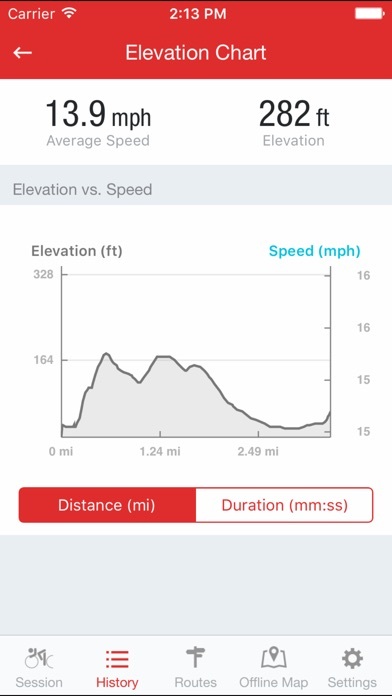 Allows rating screen to pop up while in use, pausing recording of ride. Would be a good app if this wasn’t allowed. Does all it should but would be better if it had auto pause. Also uses a lot of battery. App stays on, so just the screen. Would be better if there was a function to close these. Great app especially the price. It gives me my distance and time so I don’t have to buy a cateye(odometer) for my new road bike. Great App, but it kills your battery. This app offers a lot of great information and tracking is on point, from a performance standpoint it’s great. The problem is I started an hour ride with a 91% battery and after an hour it killed my battery, it’s unfortunate because I don’t think I can really take advantage of the app because it kills my phone. Use it to track prayer walks. Works great.